Artist Boat was founded in 2003 as a 501(c)(3) with the purpose of protecting our Gulf Coast through land conservation and fun, educational, inspiring adventures that spark creativity, awareness and action. 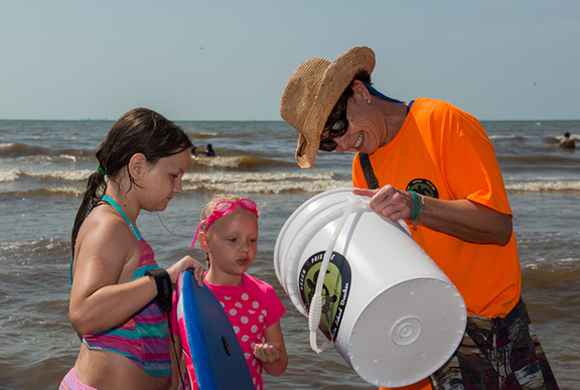 We want everyone who experiences our Gulf Coast to value and protect its natural beauty. 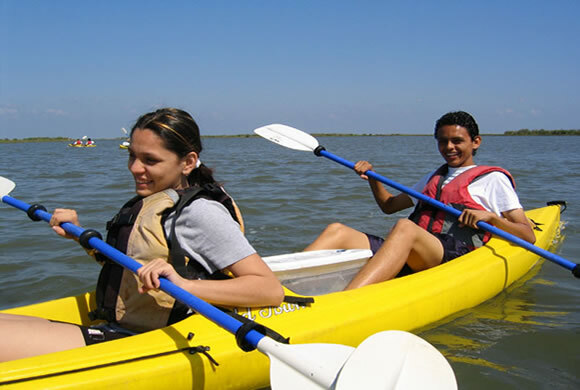 Since our inception over 100,000 participants have helped bring 40,000 students to estuaries by kayak, foot, or vessel; created over 50+ public art works for campuses and communities; conserved over 600+ acres on west Galveston Island forming the Coastal Heritage Preserve and creating a place for the future Gulf Coast Environmental Education Center; restored over 50 acres of dunes and prairies to assure recovery of these ecosystems following Hurricane Ike; formed the Bucket Brigade comprised of a Marine Debris Task Force, interpretive tours, beautified buckets for trash, recycle centers, and more on Galveston beaches; and provided a 1,000+ teachers with professional development and place-based curriculum for the classroom. Since 2008 Artist Boat has been forming the Coastal Heritage Preserve envisioned to be comprised of 1.400 acres of coastal ecosystems from beach to bay on west Galveston Island. To date over 600 acres have been conserved with over $8,000,000 in grants from state, federal, local, and individuals. 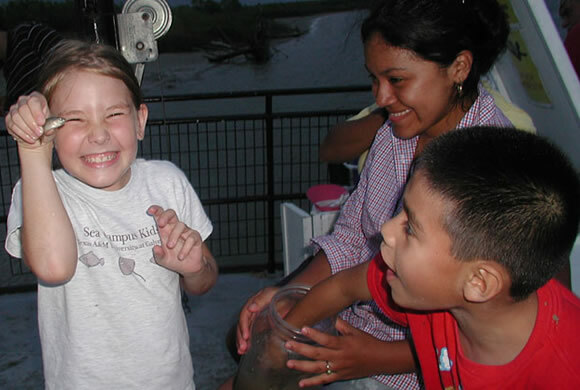 The longer term vision is to establish the first nationally significant environmental education center on the Gulf Coast. Artist Boat’s core Eco-Art Programs will continue to include kayaking and walking adventures, residency programs integrating art and science, and service learning through habitat restoration. Expansion of programs will include hiking and overnight adventures and on-site science and art labs for minds-on experiences to go with feet-in programs, and will provide a laboratory for learning excellence and training for high level engagement transforming learners into action takers focused on improving our coastal and oceans environmental qualities. Immediate goals are to complete the signing and building of an on-site kayak storage and shade facility with the University of Texas Architecture students from the Gulf Coast Design Lab this spring. Then in 2017-2018 to do three more projects with the Gulf Coast Design Lab to create an outdoor classroom, elevated outdoors group camping platform, and a public bird blind on Stewart Road. Artist Boat is a 501 (c) (3) non-profit organization dedicated to promoting awareness and preservation of the coastal margins and the marine environment through the disciplines of the sciences and arts. You can support Artist Boat in its mission with your time, talents, and treasures. Artist Boat is a 501(c)(3) whose mission is to promote awareness and preservation of coastal margins and the marine environment through the disciplines of the sciences and the arts. Everyone who experiences our Gulf Coast values and protects its natural beauty.